Described by Time Out New York as “Incisive, industrious, and creatively restless…” Caroline Chin has concertized throughout the United States, Europe, and Asia in concert halls including the John F. Kennedy Center, the White House during their Christmas Festivities, New York’s Carnegie and Weill Halls, and the Concertgebeau in Amsterdam. She gave her solo debut at age 12 and has since performed with several orchestras throughout the United States. An avid chamber musician, Ms. Chin was a member the Hudson Piano Trio and Ensemble Epomeo. She has collaborated with members of the Takacs Quartet, Vermeer Quartet, the Juilliard Quartet as well as with artists Gary Hoffman, Raphael Wallfisch, Colin Carr, Nobuko Imai, Charles Neidich, Piers Lane, Vladimir Mendelssohn, Roger Chase, and Abdel Rahman El Basha. She has been an invited guest artist at the Consonances Festival in France, Schiermonnikoog Chamber Music Festival in Holland, the 2 Rivers Chamber Music Festival in the UK, the Scotia Festival in Canada, and the Newburyport Chamber Music Festival in Massachusetts. A promoter of new music, she has performed works of composers Jennifer Higdon, Samuel Adler, Paul Moravec, Alexandra Vrebelov, and a world premiere of Triple Concerto: Da Camara by Pulitzer Prize winning composer, George Walker. Recordings include the world premiere Elliott Carter’s Tre Duetti for Violin and Cello on Centaur Records as well as recordings on Avie Records, Somm Records, and New World Records. Ms. Chin has toured the US and Japan with tap dancer Savion Glover and performed and recorded as leader of SONYC and concertmaster of the Paragon Ragtime Orchestra. As the Artistic Director of Musica Reginae from 2007-2011, she worked to bring high quality music performances to the ethnically diverse communities of Queens. 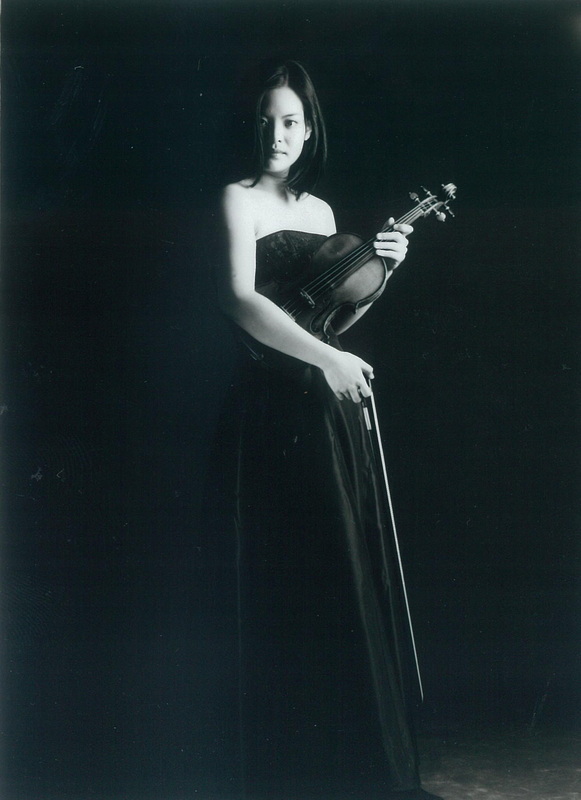 Ms. Chin teaches at Bowling Green State University's College of Musical Arts as Assistant Professor of Violin and gives violin masterclasses at music institutions throughout the United States. She received her Bachelor of Music Degree from Indiana University’s School of Music as a student of Miriam Fried and has received her Master of Music Degree from the Juilliard School as a student of Robert Mann.